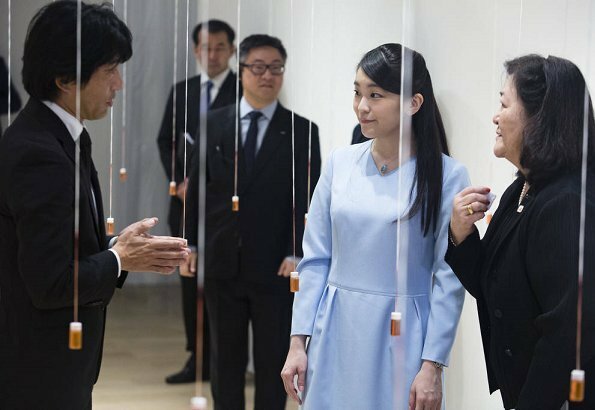 On July 22, 2018, Princess Mako of Japan visited the Japanese Cultural Center of Sao Paulo, during her visit to Brazil to mark the 110th anniversary of the first arrival of Japanese in the Latin American country. 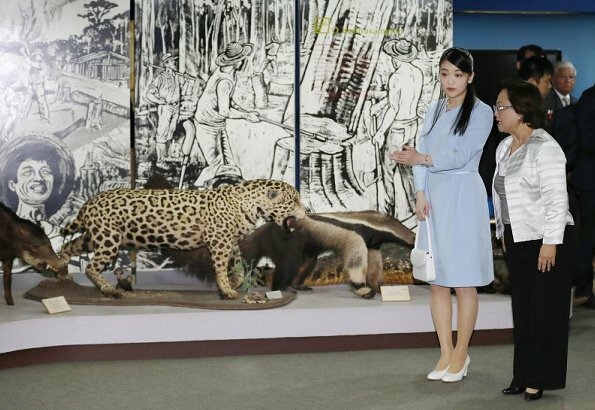 Also, the Princess visited the Modern Art Museum of Sao Paulo, as well as Promissao, a municipality built by the immigrants. 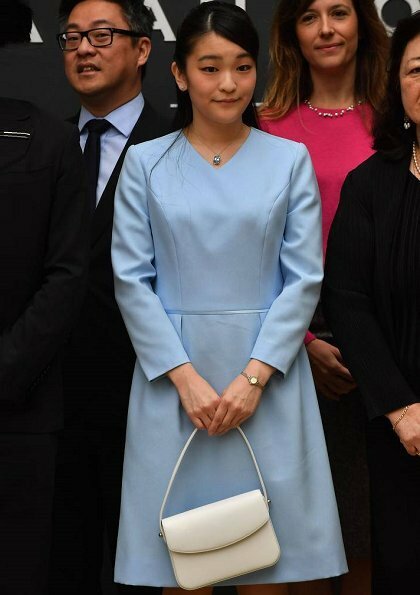 During her official trip aboard starting Wednesday, the 26-year-old princess is scheduled to visit 14 Brazilian cities in five states before returning home on July 31. The princesse's dress is beautifully tailored and fitted, yet one gets the impression it is not the most important thing for a granddaughter of an emperor who not so long ago would have been revered as a god. The emphasis is on her, not her clothes. She presents a demure and sober image. Very lovely young Pss , also like her dress light blue looks good on her. According to several international media, Mako and Kei Komuro (both 26 years old) are no longer engaged, but it is not officially confirmed. But confirmed is,that he starts studing law in New York in the month of August. Earlier this year their wedding was postponed to 2020. Thank you, Millie. I think we all suspected as much. 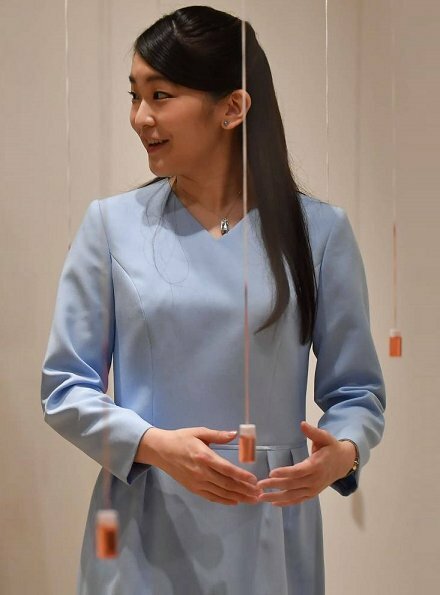 The color of her dress is lovely on Mako but her affect is one of sadness. Her face has aged since the original happy announcement of her engagement. I wish she would also go overseas to study. She needs to get away from that restricted life. She seems a sweet and composed young woman who could do better with her life. Melancholy, that's it. What happens to her is so unfair! At the same time one does not know how to blame for this unfairness - the japanese court? Society? Fate? Love itself, life itself...? May she soon find true happiness! I do not think this is a well fitting dress and the colour is nice though. The sleeves are to short and it's too big around the chest the way the fabric puffs and falls. It's nicely fitted around her shoulders and the length is good but that's the only redeeming features of it. I think you can dress conservatively without being boring, but this is definitely that latter. She is also a royal that should try a different hairstyle, the way she has it here does not flatter her in my opinion. But I think it's not all her own choices unfortunately. Hope she finds her way. Absolutely agree. My previous comments did not send. I think she is very pretty but looks like she is dressed by her spinster aunt - far too old looking and too much fabric for this petite princess. The accessories, shoes and purse, look like what we wore in the early 60s when everything had to march. 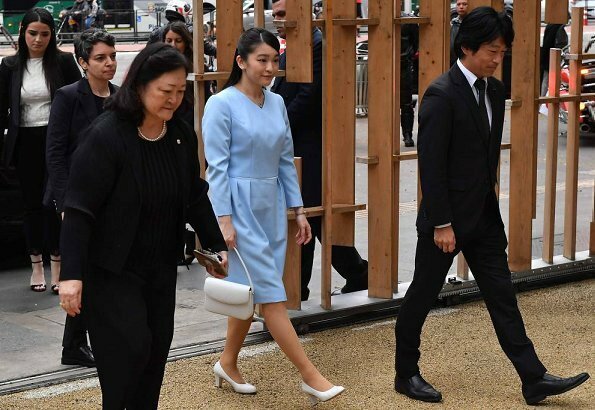 May Princess Mako's official visit to Brazil strengthen a bilateral relationship between Japan and Brazil. Please take a safe trip in Brazil.